Many people believe that a locked door is enough of a deterrent against intrusion that they never think a security system is necessary. Bars on windows to prevent access, a few analog cameras and most people believe they have security fully handled. It's entirely possible for a business to exist without a professional security system, but it's a risk that has an extremely high cost. When it comes to your business, security should be the first concern addressed. Business security systems should keep the location safe, the investments secure from criminals and the employees feeling able to go about their jobs without worry. Not all security systems manage to accomplish all three of these, but Southwest Security doesn't consider a system fully functional unless it does. It's the purpose of a security system to provide complete security under the control of the business. What Will Southwest Security Do For You? When you contact Southwest Security to inquire about a business security system, we don't recommend a cut and dried factory package for you. The first step is coming out for an on-site consultation. Our professional security consultants will go over your place of business with you to identify points of access, listen to your concerns and show you how we plan to customize a business security system for you. From wireless security cameras to secure access for your entry points, we go over everything you might need for a business security system. If there are concerns, they're discussed and addressed. Our job isn't complete until your system is set up to your satisfaction. 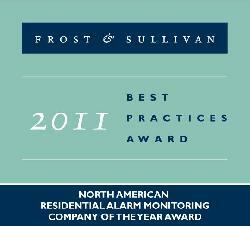 With 24/7 monitoring and our Alarm Response Center online to attend to every alarm, we make your security our business. Protecting what matters most requires effort on everyone's part, but it shouldn't be taking place of handling the details of your business. Keeping your business safe is our top priority. Call Southwest Security today to learn more about our business security systems. One phone call to Southwest Security at (505) 440-9025 can get you started with your complimentary on-site assessment of your security system.